Spices are an essential part of Indian cooking. They are used in many combinations and are often ground fresh each time they are used. Various techniques are employed to get the best out of each spice, often extracting a different flavor from the same spice depending on the technique used. Such techniques are frying, sautéing, toasting, powdering, or soaking the spice in vinegar, yogurt or lemon juice. Your aim in spicing is to use the right combination and proportion of spices, so that no one spice overpowers the dish but all combine to enhance the flavor of the main ingredient. In addition to being used for their flavor, spices also have medicinal and digestive qualities and are used judiciously in cooking to help the body digest the food and heal itself. Spices are best bought in small quantities and stored in airtight containers to retain their freshness. Whenever possible, buy whole spices and grind small amounts when needed. Store all your spices in a cool dark place. The world's most expensive spice has a fascinating history! 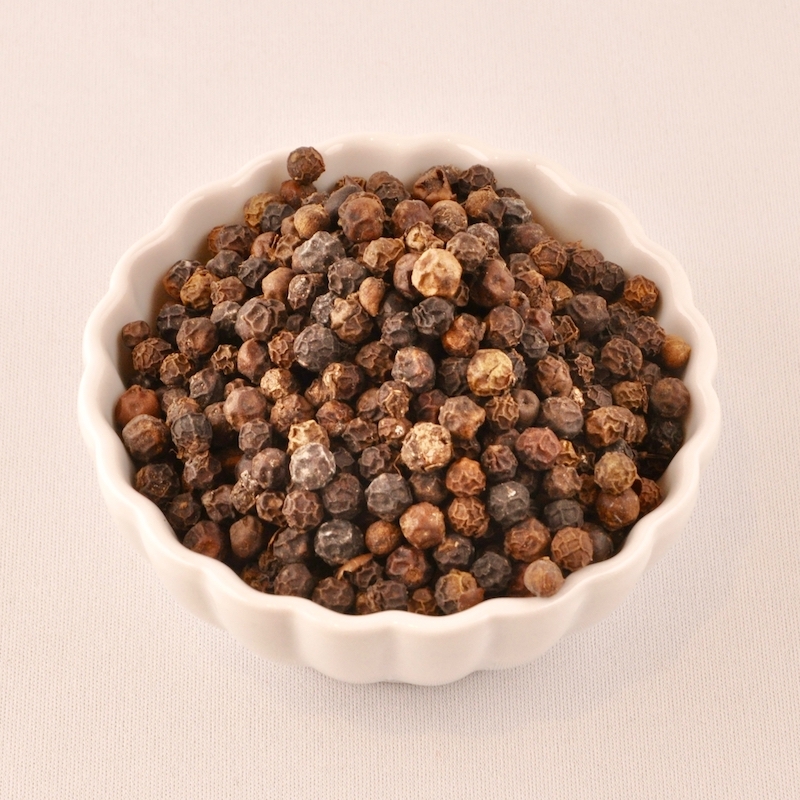 Some of the world's best pepper is found in Kerala, India, where it is an important ingredient in local cuisine. Whenever possible, use freshly ground black pepper. You can powder small amounts of it and keep it in an airtight container to be used when required. Learn more about pepper in: The Story Of pepper. The most common variety of cardamom used is the green kind. It is small, with a light green peel and a strong aroma. 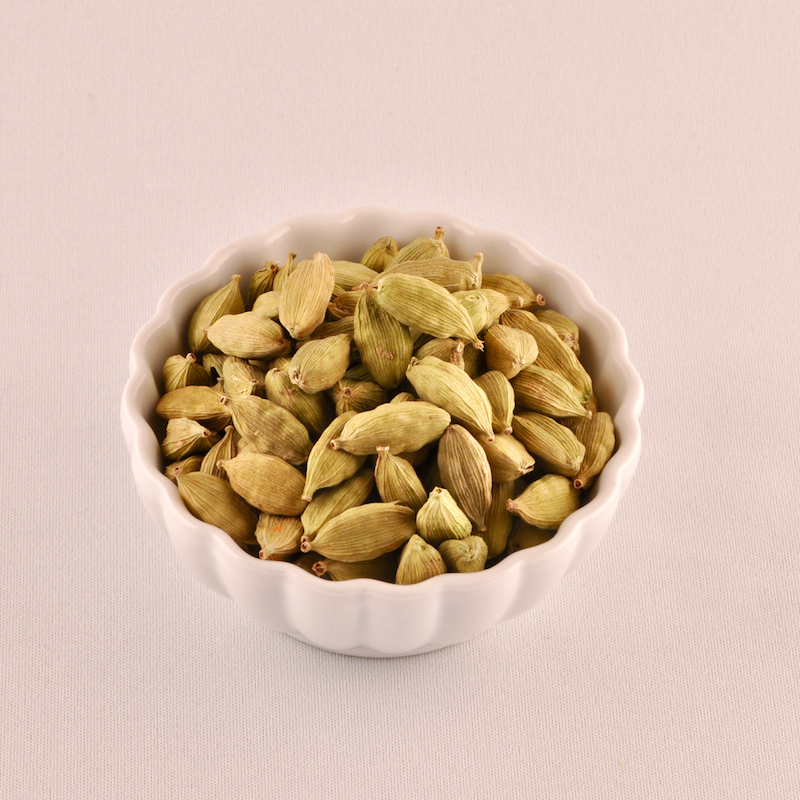 Cardamom can be found in all grocery stores and you can also buy whole cardamom seeds. 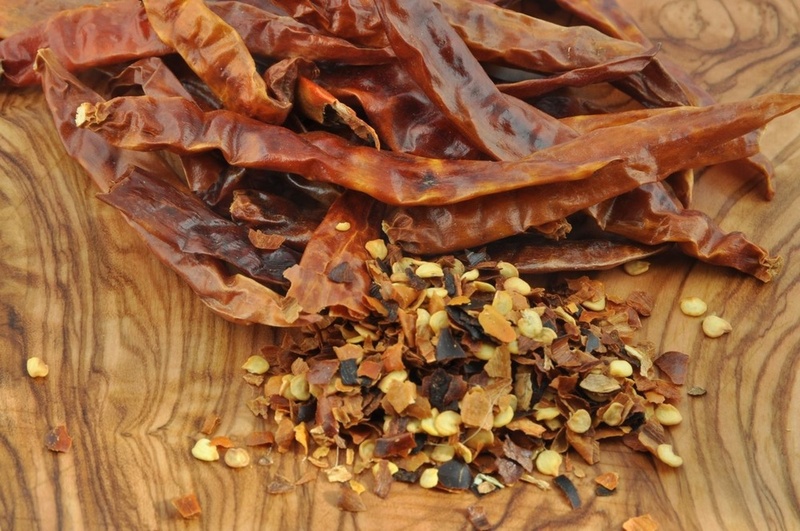 It is essential for making garam masala and can be ground, peel and all, into it. Read more about cardamom in: A Craving For Cardamom. These tiny seeds taste a bit like thyme and are very strong flavored. They are available only in Indian grocery stores and are used whole. Also known as chilli powder, cayenne pepper is made from powdered dried hot red chillies. It is extremely hot and care must be taken not to handle it directly with fingers or touch the face and eyes. Cloves are available in all grocery stores and are used in Indian cooking in whole or powder form. They are an essential component of garam masala and are also lightly fried in hot oil to perfume the food that is to be cooked in it. Ground coriander seeds are an integral part of Indian cooking. Although they are available both whole and powdered, it is best to buy them powdered in small amounts and to keep them in airtight containers, as they lose their flavor with age. Cumin seeds are the best known and most widely used spice in Indian cooking. Cumin can be bought in any grocery store, whole or ground. Both are extensively used in Indian cuisine, sometimes simultaneously. Whole seeds are also toasted and ground for use in raitas and chutneys. 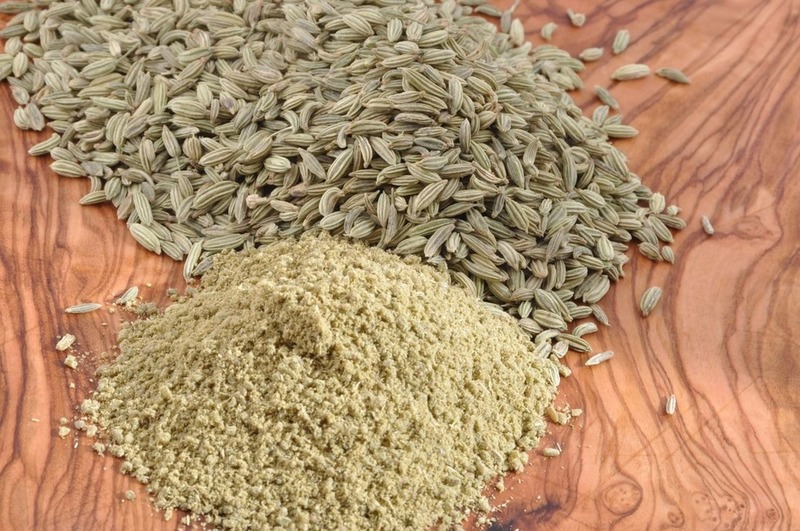 Fennel seeds are very similar to anise seeds in flavor and appearance. They have a sweet taste not unlike that of licorice. You can buy them whole and powder small amounts in a clean coffee or spice grinder or buy them already ground. Very bitter tasting, fenugreek seeds are used in small quantities to flavor food. It is usually used whole and sometimes lightly fried in oil to bring out its strong aroma. Fenugreek seeds mellow out during cooking and release their fragrance as they cook. I frequently use dried fenugreek leaves as I find that their aroma is heightened during grilling, imbuing the food with a special curry scent. They are easily available at all Indian grocery stores and have an indefinite shelf life. Strangely enough, though this spice blend is crucial to north Indian and Moghlai cooking, it has no English name. It is a fragrant mixture of cinnamon, cardamom, cloves, cumin seeds and black pepper. A little bit of garam masala goes a long way towards flavoring the food and it is usually added to the dish towards the end of cooking to preserve its fragrance. Although garam masala is sold in Indian grocery stores, I find they generally add too much coriander and fenugreek as fillers, which take away its zesty quality. Good quality garam masala can easily be made at home in a spice or coffee grinder. These tiny dark brown seeds are important in south Indian cooking. They are usually lightly fried in hot oil before they are used. In Bengali cooking they are ground to a pungent paste before being added to food. They are available at Indian and other grocery stores. Excellent canned coconut milk can be bought at all grocery stores. It is rich, creamy and fresh tasting. 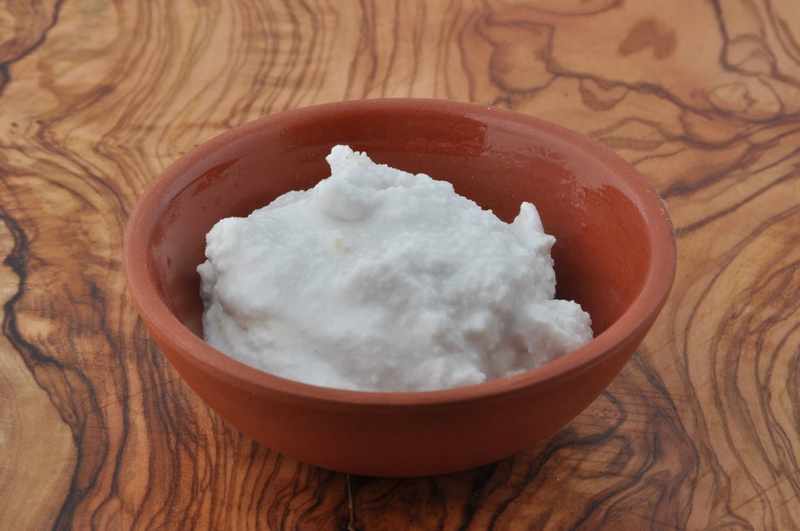 As making coconut milk at home is a laborious process, canned coconut milk offers a great substitute. Coconut cream can be obtained by skimming it off the top of a premium quality coconut milk can.